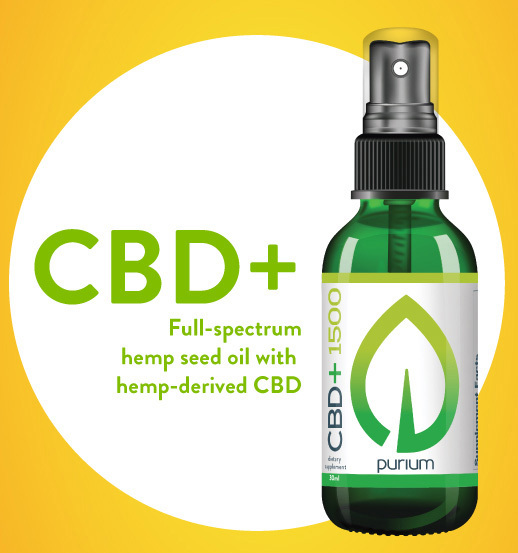 Our pure + premium hemp-derived cannabidiol (CBD) is super potent, containing 1500mg per bottle. Grown in Kentucky or Colorado and processed without any artificial ingredients, CBD+ combines full spectrum and pure CBD extracts in organic hemp seed oil. Every 50mg serving of the naturally-flavored sublingual spray is fast-acting and convenient. Currently not available in Canada. These statements have not been evaluated by the FDA and are not intended to diagnose, treat, cure or prevent any disease. Most work-place drug screens and tests target delta9-tetrahydrocannabinol (THC) and do not detect the presence of Cannabidiol (CBD) or other legal natural hemp based constituents. Even though our products contain less than .3% THC by dry weight (Federal Legal Limit), studies have shown that ingesting Full Spectrum CBD can cause con rmed positive results when screening urine and blood specimens. Accordingly, if you are subject to any form of employment drug testing or screening, we recommend (as does the United States Armed Services) that you DO NOT take our products. Before taking our products, consult with your healthcare practitioner, drug screening testing company or employer. This website requires you to also be at least 18 years or older to purchase our products.